Mobile devices are merely the product of convergence: telegraphs, telephones, letters, newspapers, magazines, and books are now all in one paper-thin package (not to mention video games, maps, and other virtual tools). Because of that, content creators are issued the burden of packaging the same material in a variety of ways. For instance, while some websites may look amazing on your laptop, their mobile counterparts may not. 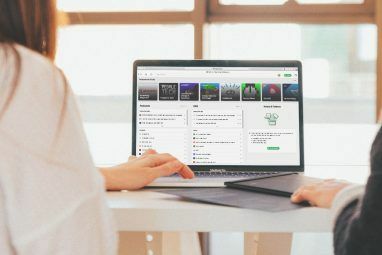 This is where RSS feeds How RSS Feeds Work In Simple Terms [Technology Explained] How RSS Feeds Work In Simple Terms [Technology Explained] Read More come in: they send the content – and only the content – to your RSS reader of choice. Byline is what I would consider to be a meta-reader. It takes your feeds from Google Reader 3 Great Ways to Read Your Google Reader Feeds 3 Great Ways to Read Your Google Reader Feeds Read More (as well as Instapaper Instapaper Brings Readability and All Your Favorite Sources Into One Place [iOS] Instapaper Brings Readability and All Your Favorite Sources Into One Place [iOS] Instapaper converts sad, hard-to-look-at walls of text into happy, easy-on-the-eyes formats for those of us who like to read on the bus, during meetings, or in waiting rooms. Also designed for those of us who... Read More and Pocket Read it Later Service Pocket Launches a Mac App & It's Awesome [OSX] Read it Later Service Pocket Launches a Mac App & It's Awesome [OSX] We've covered Pocket back when it was Read it Later and after its relaunch as the newly redesigned Pocket, and it's no secret that we're big fans of the service. That's why we were pretty... Read More ), and converts each title to be readable on your iPhone. Of course, there are other apps that do the same thing, so in this case, it’s all about your flavor of choice. With that said, take a look at Byline, and see if you like it. You’ll immediately notice Byline’s clean user interface that incorporates most of iOS’s basic read functions. In other words, Byline conforms to most of Apple’s preset designs. Am I okay with this? Absolutely. With mobile devices, uniformity is welcome. Swapping from style to style just to perform “busy” tasks can get tiring and even annoying. Of course, the design can get slightly monotonous over time, and with the non-upgraded version, ads can get rather distracting. Perhaps a few more customizable features would have helped: background color and pattern selections, font options, text size changes, etc. Either way, for a free app, it’s not too shabby. Furthermore, the app is rather touch-intuitive. You can swipe through articles just like you would expect to, and both landscape and portrait modes are available. 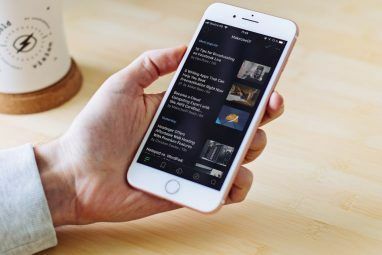 Avoiding data rate charges can be a hassle, but with Byline, all your reading material is regularly saved all at once via WiFi for offline browsing. This means there is no need to sync with your data plan while on the go. Everything is stored (even the images) to the RSS browser for you to check out later. In fact, you can store up to 2000 items! Furthermore, all of your sources can be compiled into folders or left as a single publication as determined by Google Reader. 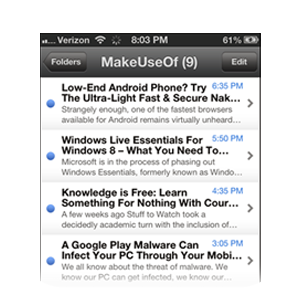 With all of this functionality, I think a better name for Byline is Google Reader for iPhone. By the way, once something is read and the app is synced, it will be deleted from your phone unless starred. Forever. It’s never coming back. However, if you go back to your computer and star articles you may have glanced at but never fully pushed through, then those articles will appear back on your phone unless you remove them. Byline isn’t just a one-way street. For instance, anything you star or read using the app will be starred and marked as read on Google Reader. (It works vice-versa, too.) This keeps your reading habits fluid, seamless, and transition-friendly between multiple devices. Users can upgrade to an ad-free Premium version of Byline for a whopping $5.99. In my opinion, it’s just not worth it. You might as well buy something like Instapaper in that case. Yes, I know that these creators spend quite a bit of time on their craft, but the market has already proven that there’s no need for more expensive 2D toys. Bottom line of Byline [No Longer Available]: Go ahead and get it. Play with it. Love it. Hold it. Cherish it. But don’t marry it. That would be weird. This is a fair app that will receive some criticism for its plainness, but that’s what is so great about it. That is the reason for its placement on our Best iPhone Apps page too. Will you download Byline? 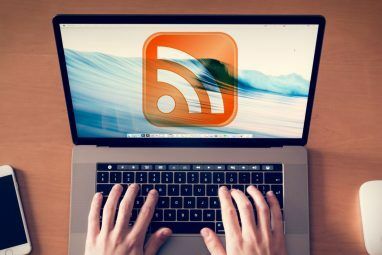 What do you use to read your RSS feeds while on the go? Explore more about: Feed Reader, FeedReader, RSS.